In a bowl, mix the butter with the paprika until well combined. Place the sweetcorn in a pan with boiling salted water and cook for approximately 12 minutes or until cooked through. 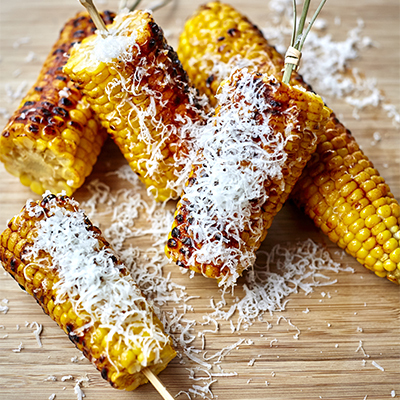 Remove the sweetcorn from the water and place on the BBQ and rotate while basting with the smoked paprika butter until golden on all sides. Sprinkle the Manchego cheese on top and allow to slightly melt on the BBQ. Remove from the BBQ and serve with additional paprika butter on top.